Are you looking for wedding favour sweets or sweets for a wedding sweet buffet / table? You have come to the right place as One Pound Sweets has a massive range. We know that the most important part of any wedding is well let’s face it – the sweet table. Everyone runs to it as soon as they can, children are pushed out of the way as the adults stock up on pick n mix and stash it in their suit pockets for later. 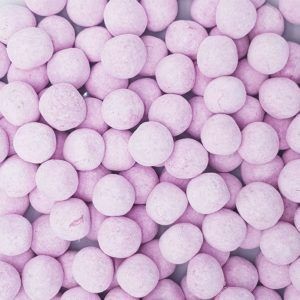 We have a wide range of wedding sweets and a wide range of colours to suit all schemes and needs. If you need to buy big bags of sweets we have these in stock so you can create your own wedding favours or fill your own sweet buffet. Professional sweet carts are a nice thing to have but they are expensive and to be honest you can do it for around £50, saving yourself the best part of £200 in the process. This money can then be spent on the bar…. 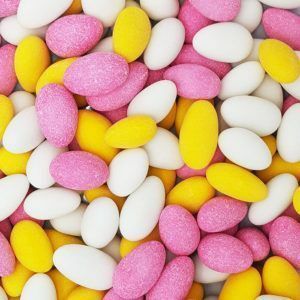 If you need white coloured sweets for your wedding, yellow sweets, pink sweets or blue sweets – or any colour in between we have them all and can provide them at the very best prices. Looking for gifts for the wedding party too? We have small and affordable gifts to give to the groomsmen and bridesmaids to thank them for well not doing much really and probably spoiling the photos by being too drunk. 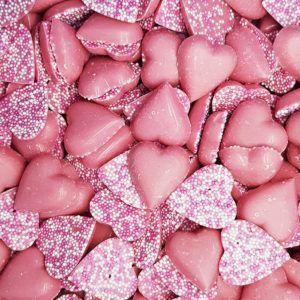 Weddings can be stressful enough without having to search the whole of the internet to find the perfect place to get heart-shaped marshmallows – leave it to us to source the best sweets and give them to you at the very best prices. We also have £1 delivery on all orders no matter if you order 1 bag or 1000 bags and we can deliver in quick time if you have left the most important part of the day to the last minute and need your sweets delivered the next day. If you do not see something you like on our website please give us a shout and we can see if we can get it in for you – we know how important your big day is and we will do everything we can to make it a success. Hell, if it gets us an invite to the party we might even deliver the sweets in person!